Since it was first hollowed out in imitation of Yosemite’s Wawona Tunnel Tree, thousands of tourists and vehicles have passed through the sequoia. 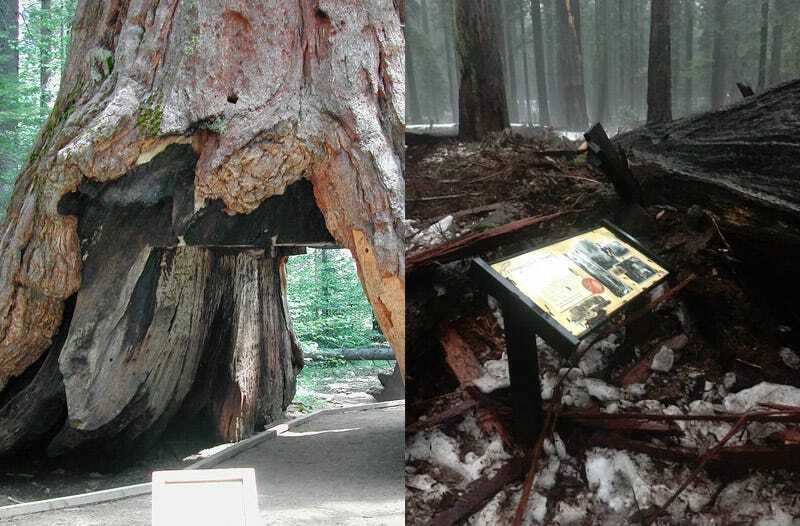 The Wawona tree was killed by the process and later fell during a storm in the 1960s, but the Pioneer Cabin Tree clung on, showing signs of life well into the 21st century. On Facebook, where the tree’s death was first announced, park visitors shared generations of memories involving the giant sequoia. The Calaveras Big Trees Association, however, offered a simple message about the tree’s return to the earth it sprouted from so many years ago.